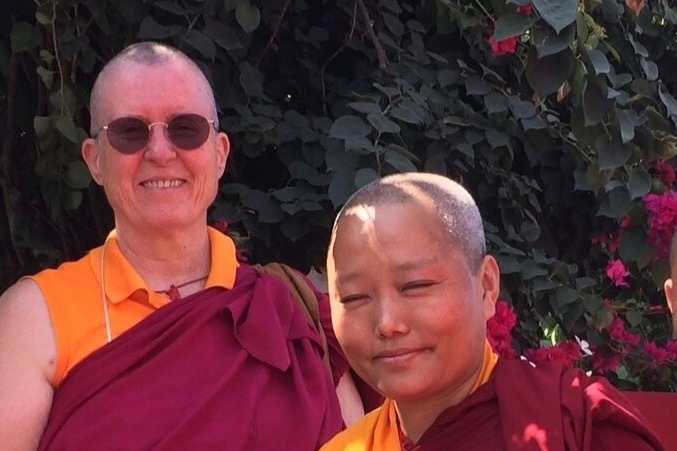 As the first Fellow in the Acharya Nuns Leadership program beginning in August 2018, Ani Yeshe, a graduate of the Samtenling 12 year philosophy program, will spend 6 months at Vajra Dakini Nunnery (an affiliate of Samtenling Nunnery) in Portland, Maine. There she will be immersed in English language education, assist in Dharma classes and interfaith activities and visit other nunneries as she refines her individual Fellowship project. Her goals include teaching Tibetan grammar, translation and spreading the Dharma. 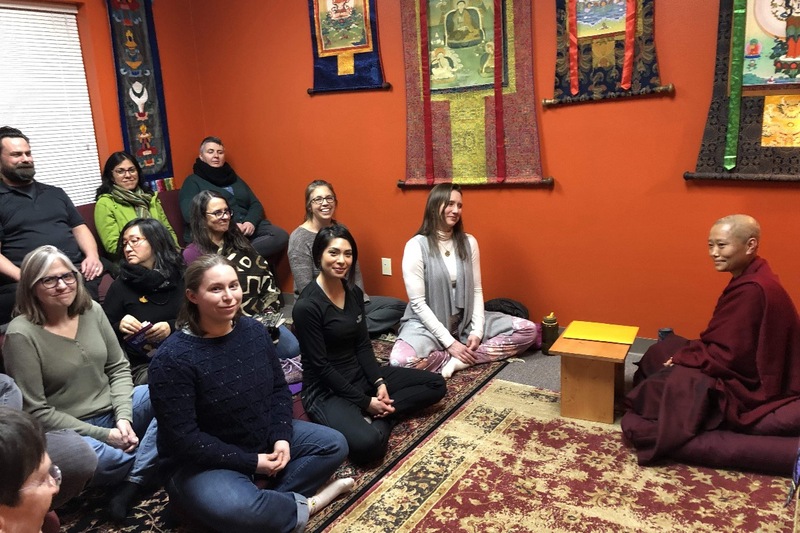 Following the Vajra Dakini residency, she will attend month long training modules which will include: web and graphic computer skills, women’s health care education skills, translation skills, and childhood educational skills. Individual experts and our centers in various cities will coordinate these modules during her visit. 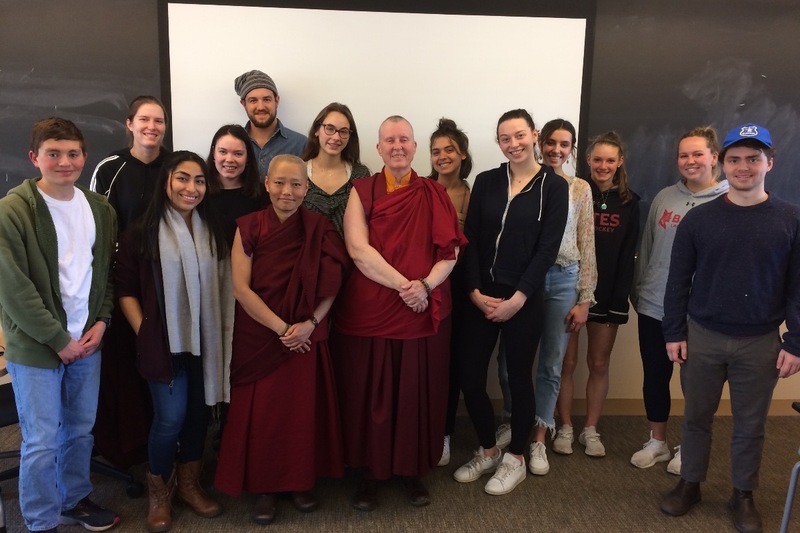 Acharya Ani Yeshe then returns to the nunnery in India with expanded skills to share with her community as they take their seat as Dharma leaders. Funds are needed in August 2018 to support Acharya Ani Yeshe's housing, travel, and educational expenses, as well as the visa application of next year’s Fellow. You will be able to follow her Fellowship activities on Vajra Dakini's facebook page! Thank you for your interest and support of Ani Yeshe to attend the leadership program. This program would not be possible without your kind and generous support. We are very grateful! Thanks to each and every donor. A full report will be available on our website Vajradakininunnery.org in July. Our leadership program has been a big success. Khenmo Drolma and Acharya Yeshe have been teaching at the Urban Dharma Center in North California, Long Island and at Bates College. Acharya is now able to teach Dharma in English for up to 40 min. 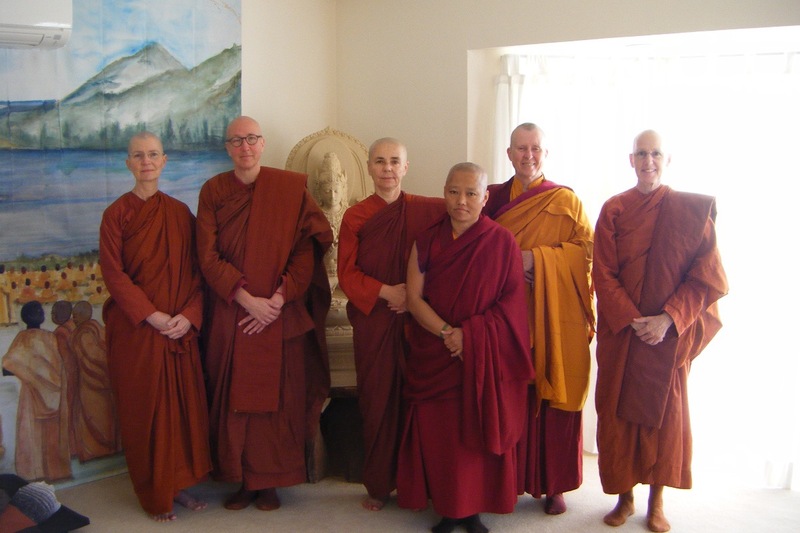 A visit to Aloka Vihara, a Theravadin Monastery run by 2 Bhikkunis.